On July 7, the U.S. Court of Appeals for the District of Columbia Circuit (“D.C. Circuit” or “court”) issued a decision in NRG Power Marketing, LLC v. FERC (“NRG decision”), finding that the Federal Energy Regulatory Commission (“FERC” or “Commission”) exceeded its authority under Section 205 of the Federal Power Act (“FPA”) when it directed certain revisions to the PJM Interconnection LLC (“PJM”) capacity market buyer mitigation rules. The decision’s legal analysis highlights limitations on FERC’s ability to direct changes on compliance to proposed rates submitted by a utility or market operator. From a practical standpoint, the decision vacating and remanding significant components of FERC’s underlying orders creates significant uncertainty concerning PJM’s Minimum Offer Price Rule (“MOPR”) as applied to capacity auction participants since 2013. PJM’s capacity market obtains commitments to deliver electric energy three years in advance, with the goal of providing accurate price signals to encourage development of new generation or retirement of existing generation based on the anticipated needs of the Mid-Atlantic electric grid. Out of concern that some entrants might submit capacity bids below their actual costs, PJM has a MOPR which sets a capacity offer floor for each unit. The MOPR is intended to prevent uneconomically low bids, which could suppress capacity prices and discourage the development of needed generation. In 2012, PJM submitted to FERC under Section 205 of the FPA capacity market revisions that 1) shifted from a unit-specific review for the MOPR to a set of categorical exemptions (for competitive, unsubsidized entrants, and for utilities seeking to supply their own capacity needs), and 2) extended the period for which the MOPR applied from one year to three years. PJM explained that the filing was the result of a stakeholder-driven compromise between generators and load-serving entities (“LSEs”) after PJM’s 2012 capacity auction results raised concerns about the transparency and efficacy of the existing unit-specific review process, particularly in the face of ongoing state initiatives to subsidize the targeted development of new generation projects. In a 2013 decision, FERC conditionally accepted in part and rejected in part PJM’s proposed MOPR revisions, accepting the competitive entry and self-supply categorical exemptions while also requiring reinstatement of the unit-specific review and the one-year MOPR application period. Essentially, FERC selected the components of the stakeholder compromise advocated by LSEs but rejected the components advocated by incumbent generators. PJM agreed to the proposed modifications, and submitted a compliance filing implementing them. FERC denied rehearing on the capacity market changes in 2015, and NRG and other generators petitioned for review to the D.C. Circuit. The D.C. Circuit panel unanimously found that FERC’s modification of PJM’s proposal was inconsistent with Section 205 of the FPA, and vacated the underlying orders. As the court explained, Section 205 – under which an applicant public utility submits a proposed rate for FERC approval – puts FERC in a reactive role, authorizing FERC to accept or reject an applicant’s submission. In contrast, Section 206 of the FPA allows FERC, following a complaint or acting of its own initiative, to find an existing rate unjust and unreasonable, and to set an appropriate rate. The court cited its prior decisions in City of Winnfield and Western Resources, Inc. in holding that FERC may impose minor changes to a Section 205 rate proposal on compliance if the applicant utility acquiesces, but FERC may not accept “only half of a proposed rate” or suggest changes that result in “an entirely different rate design.” The court found that FERC’s proposed changes to the PJM MOPR exceeded FERC’s authority under Section 205. By effectively accepting only half of PJM’s proposal, the result was an “entirely different rate design” than that proposed by PJM. The court vacated FERC’s underlying orders with respect to unit-specific review, the competitive entry exemption, the self-supply exemption and the mitigation period, and remanded the matter to FERC. The NRG decision has both legal and practical ramifications. The decision identifies bounds on the Commission’s authority to reshape utilities’ Section 205 applications through conditional acceptance and compliance directives. FERC may reject rate filings without prejudice, or suggest minor changes, but cannot treat a Section 205 filing like a restaurant menu, selecting only the items it wants while rejecting others. The decision also raises significant practical questions for PJM market participants. By vacating FERC’s acceptance of PJM tariff provisions concerning unit-specific review, the competitive entry exemption, the self-supply exemption and the mitigation period, which had been effective since February 5, 2013, the decision potentially creates great uncertainty about the status of capacity market results in the intervening period. In the past four years, PJM has conducted multiple capacity auctions under the now-vacated MOPR rules and secured binding commitments from generators to be available in future capability periods. How FERC handles the remand, and how it treats the results of the auctions conducted under the vacated MOPR rules bears careful watching by all market participants. 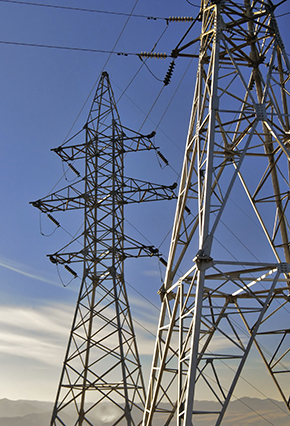 Van Ness Feldman represents clients on a full range of issues arising out of the organized markets regulated by FERC. If you are interested in additional information regarding the D.C. Circuit's decision and its implications, please contact Gary Bachman, Doug Smith, Justin Moeller, Gabe Tabak, or any member of the firm’s Electric Practice at (202) 298-1800 in Washington, D.C. or in Seattle at (206) 623-9372.